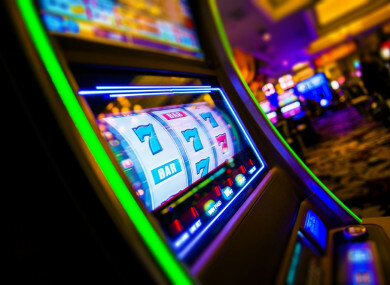 A MAN WHO set up a branch of Gamblers Anonymous in Cork Prison stole thousands in cash from work in order to go on a gambling spree in Dublin, a court has heard. Father of three Ian O’Sullivan (37) from Cherry Lawn, Church Road, Blackrock in Cork appeared before the circuit court in the city in connection with the theft of €6,901 in cash and €4,000 in cheques from Musgraves. The cheques were recovered. However, O’Sullivan, who is now unemployed, spent the cash over a period of a few days in Dublin having hired a rental car at Cork Airport. Detective Garda Jim Carney told Judge Sean O’Donnabhain that O’Sullivan was a delivery man for Musgraves wholesale suppliers in Cork. On 10, 11 and 12 October 2017 he failed to return the monies he received on deliveries. On 12 October 2017 the van he drove for deliveries was found at Cork Airport with the keys in it. Detective Carney said O’Sullivan had used the cash to hire a rental car to go on a gambling “spree”. When gardaí caught up with him a few days later the cash had been spent. However, Garda Carney said O’Sullivan co operated with gardaí when arrested and a plea of guilty was entered in the case. The court heard that O’Sullivan has paid back €1,000 in compensation and is endeavouring to raise more funds whilst out on bail. Judge O’Donnabhain described gambling as an “insidious habit’ after he was informed that when O’Sullivan is in the position of handling money he is tempted to steal it to fund it his addiction. O’Sullivan was instrumental in setting up Gamblers Anonymous in Cork Prison and is seeking psychiatric intervention for his issues. He has had a problem with gambling for over 20 years and has 126 previous convictions. Judge O’Donnabhain said it seemed to be the case that the risk of reoffending in the case was less when O’Sullivan wasn’t working and without access to cash. However, being unemployed renders O’Sullivan unable to raise substantial compensation for his offence. Judge O’Donnabhain agreed to adjourn sentencing in the case to allow for the preparation of a probation report after it was indicated that O’Sullivan was a “good family man” whose loved ones were standing by him. O’Sullivan was remanded on bail for sentencing on 22 May next. Email “Man who set up gambling support group in Cork Prison steals €6.9k cash to go on gambling spree”. Feedback on “Man who set up gambling support group in Cork Prison steals €6.9k cash to go on gambling spree”.